Hello and welcome to the Skipping Stones Design November Stamp and Share Challenge! Since we're heading into the busy holiday season we've kept this challenge super simple - Anything Goes! Skipping Stones Design stamps are not required to play along but if you have some we'd love to see you use them. I tend not to use a lot of snow related images since there is never any snow here but I could not resist the Sassy Snow set with it's cute images and cheeky sentiments. This one in particular always cracks me up. :) I paper pieced my snow gal with Bo Bunny papers and mounted the panel against some snow flurries. I went for an orange sentiment to really allow it and the nose to pop! I hope you'll find some time to play along with us especially as one lucky person will win a Skipping Stones Design stamp set of their choice. Be sure to check out the rest of the gorgeous inspiration from the design team and then play along! A paper piecing masterpiece. This is hilarious. soooo adorable Jen! 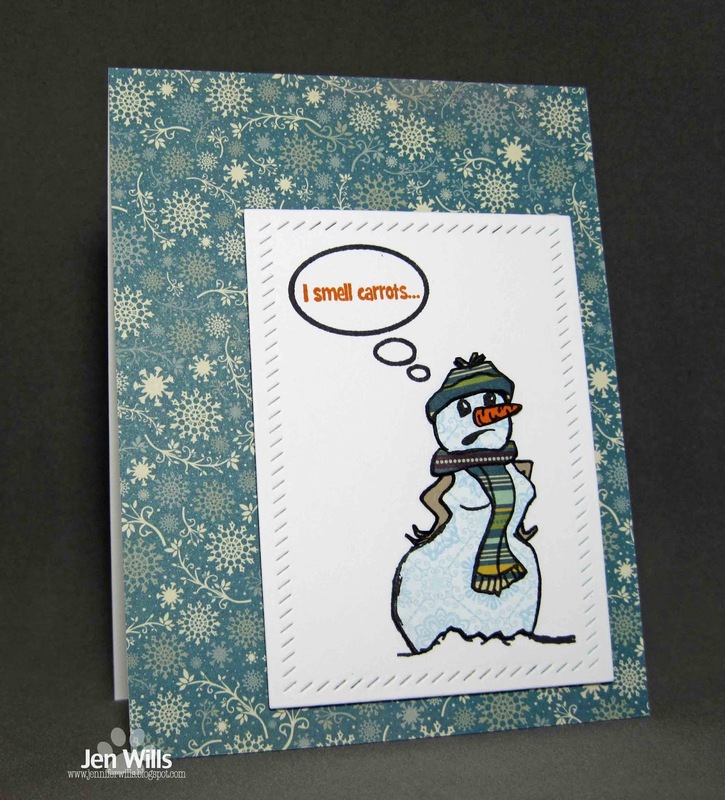 fabulous texture on the sweet snowman! Ba ha ha ha!!! Way, way too funny!! 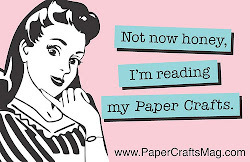 Love that paper piecing too! Too cute and too much fun! !